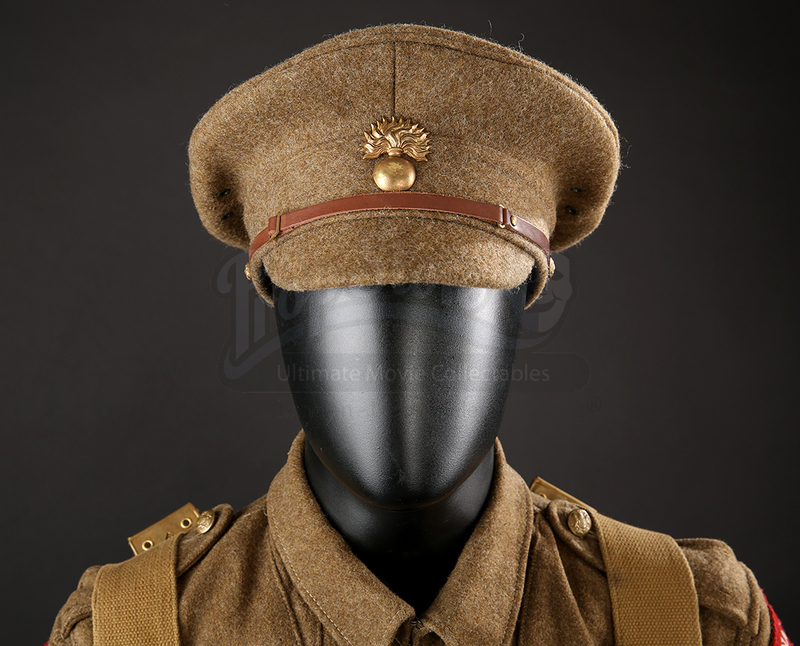 A British Infantry soldier's uniform from Steven Spielberg's 2011 war drama, War Horse. 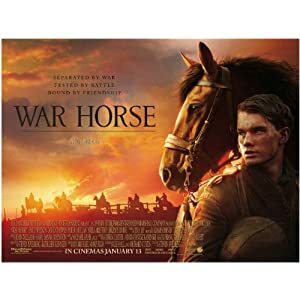 After his beloved horse is sold to the cavalry, Albert (Jeremy Irvine) enlists to serve in World War I. 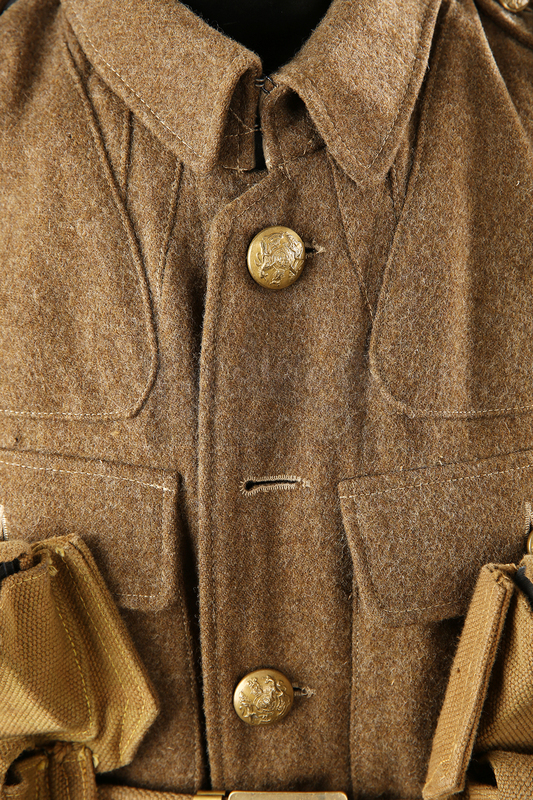 Uniforms like this can be seen on British infantry members throughout the film. 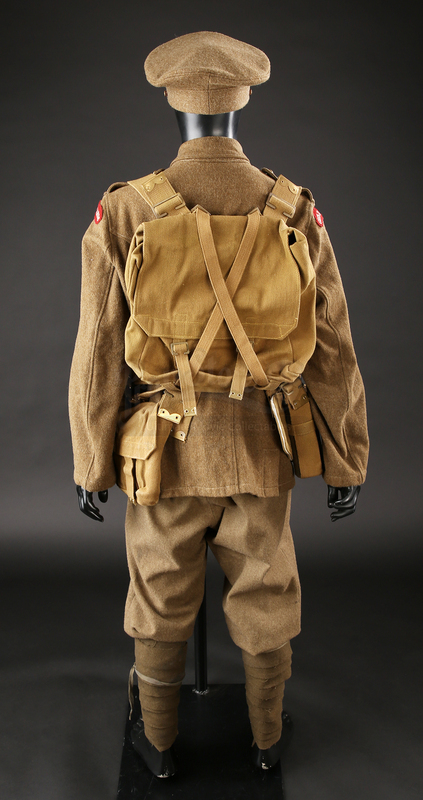 This uniform consists of pants, jacket, hat, and pack. The jacket, pants, and hat are made from wool. 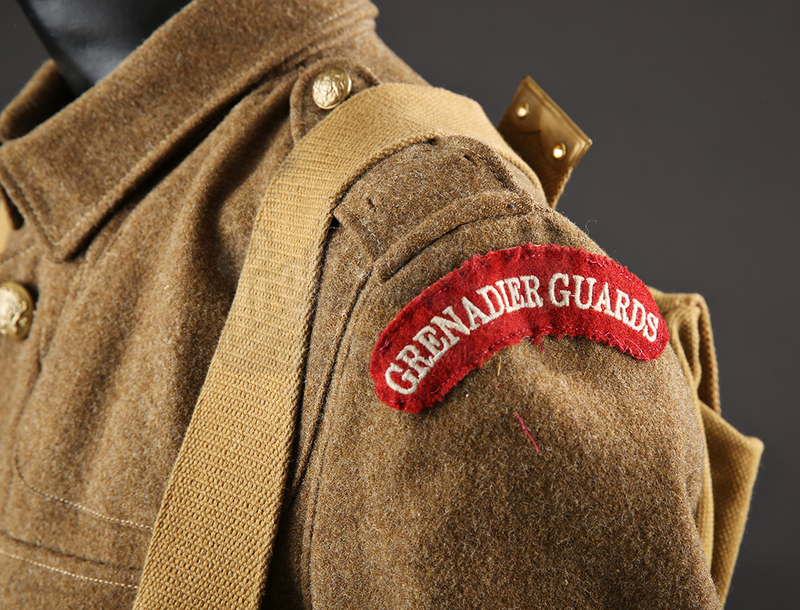 The jacket features a "Grenadier Guards" patch on each shoulder, epaulets, four pockets, and brass-like buttons which feature the British crest. 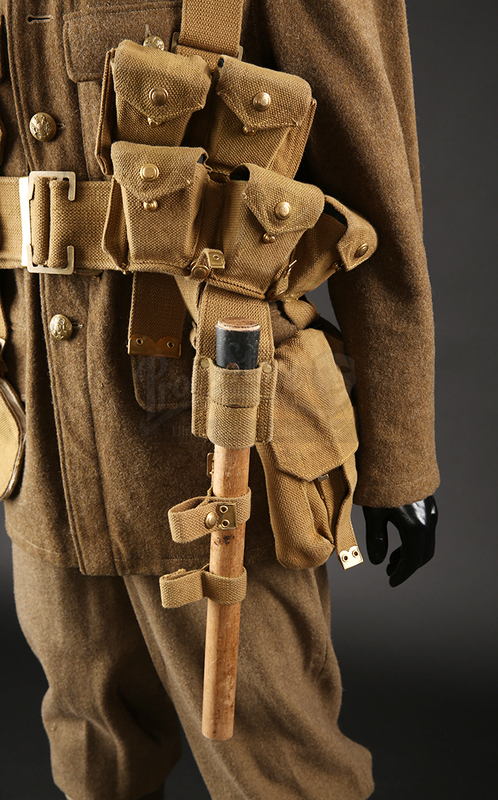 The pants feature a hidden button fly, two hip pockets, and buttons for suspenders. 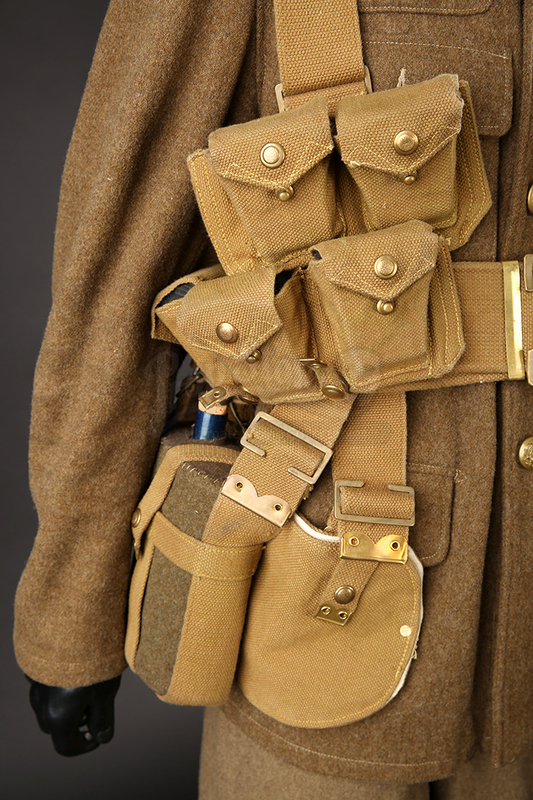 The pack includes a backpack, canteen, satchel, as well as various smaller pouches with wooden block fillers. The hat has a brass-like emblem on the brim, as well as a leather strap. 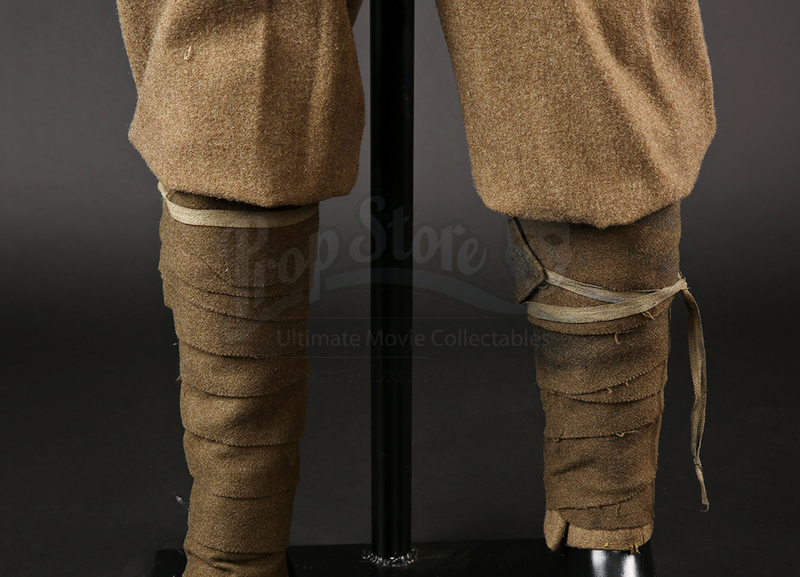 Also included in this costume are two wool ankle wraps. These items feature some signs of wear from production use, including intentional distress as well as a few loose threads, but remain in overall excellent condition.